I met a woman who does soul reading. We have an appointment to connect for an hour. I was excited but when we started and she’s looking through my eyes directly, I got scared that she would see my deepest desires and secrets. I was hoping to find out what my future holds and to find out if I have removed the blockage that seems to stop my launch. She was spot on that I lack confidence. She saw my young self who wasn’t validated and given permission to express herself. I grew up to be sensitive as my father who could feel everybody and could turn out to be very overwhelmed. My father was there communicating through her and we’ve said our sorrys, me for not seeing him and he for not being strong as I have hoped him to be. I was sobbing and I couldn’t believe there were so much emotions that I’ve hidden. On a regular day, I know that I am not contained by the past because I was at peace about it, but going back and remembering how I have to make it work makes me remember how painful it was. Sharing this experience right now doesn’t trigger tears and I wonder how could I’ve been so vulnerable last night with an audience. She saw me having a son in the horizon. I am going to have a son with the qualities of my father. I am not ready right now to be in a commitment and have a family of my own, I am still indifferent. 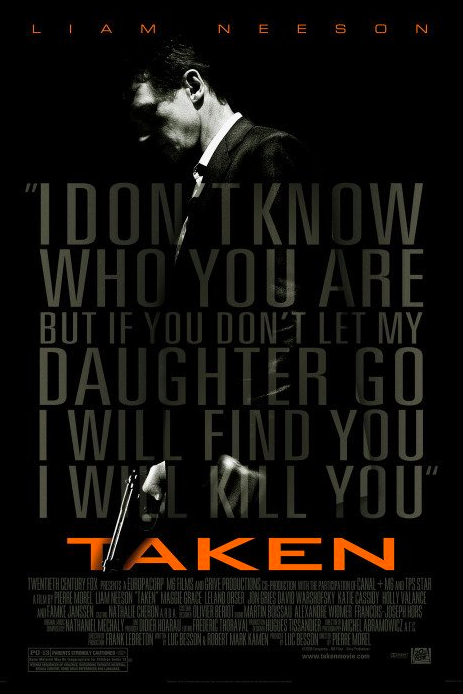 If you have a daughter and you have not seen the movie Taken, well now is the time! My Mom saw it first in our family and immediately she insisted demanded that we, her three daughters, her only three children, most especially to my youngest sister who loves to travel, made sure that we see the movie and understand it by heart. Taken is the best suspense thriller movie ever! Or is it Liam the best father a distressed daughter could ever hope for to come rescue and save the freaking day. I would probably tell my child unless your dad is a real life Bryan Mills then you wouldn’t made me stop worrying that you won’t make the misjudgment to trust a stranger. No more arguments, you’re not leaving the house until I am sure that there will be no danger. Well, the truth is, I will probably let my child go and I trust that God sends his angels to protect her every single step of her beautiful life.